NEW DELHI: While Apple has always been more than a “products” company, in the last few years it has somehow been more about the iPhone, iPad and Mac devices. That might be the popular perception but the reality is that the Services business has gradually become a vital part of Apple’s revenue stream. At the special event held here in Cupertino, the message was loud and clear: Apple will now be more than just the “iPhone company”. Be it the announcement of a new credit card, TV+ app, Apple Arcade or News+ app, it’s all about the Services that the company wants to give to the users. It’s not down to the fact that revenues from the iPhone worldwide have seen a sharp decline but because the Services business has been on the rise in the last couple of years. For the uninitiated, Apple’s Services business includes iTunes, App Store, Apple Music, Apple Pay and Apple Care. And now the newly-launched services like the Apple Card, Apple Arcade and others will fuel further revenue generation. Early this year when Apple announced a drop in sales and revenue from the iPhones, it mentioned that the Services business had been doing well. In the first fiscal quarter of 2019, Services had contributed $10.9 to the company’s total revenue. Across it paid services, Apple has more than 360 million subscribers. This number seen a jump of 120 million compared to last year. 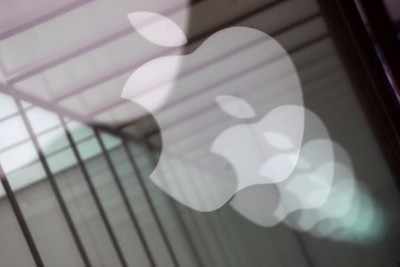 It was reportedly said that by 2020, Apple expects its paid subscribers to cross half a billion. As far as revenue is concerned, reportedly Apple is targeting the figure of $14 billion by 2020. The new services have been launched to grow the revenues from Services. This is not to say that Apple won’t be concentrating on hardware and products like the iPhone, iPad. The company a few says before the special event revamped its iPad and iMac line up and also unveiled the AirPods. Several questions have been raised about innovation and Apple products. Not that Apple isn’t innovating but it’s the Services division where the focus might just shift in the next couple of years. The Special Event was a fine indicator of this shift in focus.